By now you’re surely familiar with Dutch pop promise Eva Simons (and if you’re not, there’s always this post I made some time ago to bring you up to date!) 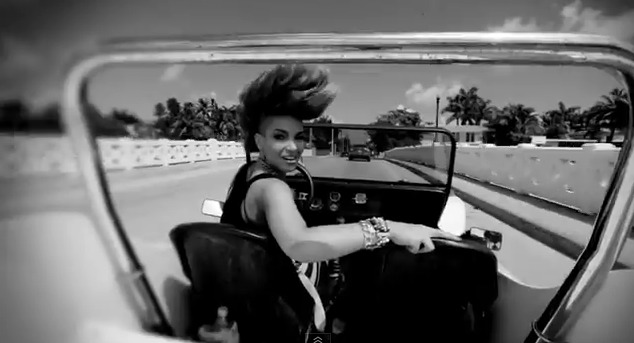 Since we last saw her, the mohawked singer has teamed up with Will.I.Am, toured with LMFAO and is preparing to join Eric Prydz, Nero and the likes for their Identity Tour. Even more importantly though, this week we’re one step closer to that long awaited debut album! Eva has unleashed her brand new video “Renegade“, which frankly features some of the worst road safety in pop. Eyes on the road, Eva! Hands on the wheel! No standing on the motorbike! The song however is top notch. Eva sings “Success is being who you are… and you only… Me, I’m a renegade” over dubstep pop done right. Yes, after taking on the dance scene with the likes of Afrojack and Zedd by her side, Eva is now coming for Katy B’s crown! “Renegade” by Eva Simons is available soon. So I found myself in the Spanish iTunes store, as one does, and I was intrigued by their number one, ‘Sick Of Love‘ by Robert Ramirez. There seems to be barely any information about it online though. Here’s what I managed to find out. 1) It is quite good. 2) It has pretty cover art. 3) It could do with a radio edit. 4) It’s the theme song to Spanish comedy show ‘El Club Del Chiste‘. 5) I dare anyone to find a bigger ‘I Gotta Feeling‘ rip-off than this.